Complex Says: What if Nintendo and Hal Laboratory kept all of the Melee characters? A hack of the game discovered that all of the removed characters were slated to return. Dr. Mario, Mewtwo, Roy, and others that were scrapped from the game have remnants and clues left over in the game itself with Mewtwo being the only character found with a finished model and voice. 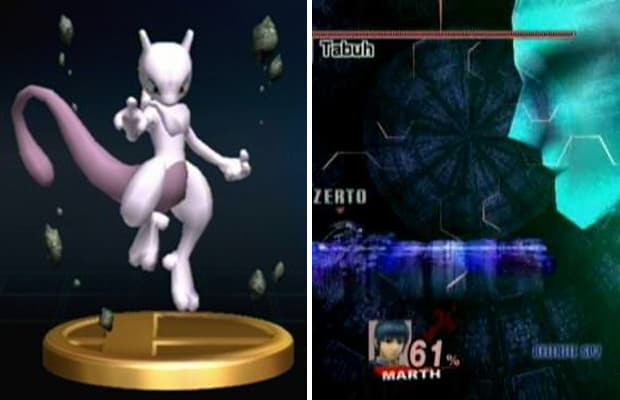 Interestingly enough, Mewtwo was also planned to appear in the original Smash Bros. but was left out due to time. On the topic of Brawl however, the only brand new character that didn't make the cut is Toon Zelda/Shiek. There is no development of the character so Toon Zelda/Shiek may have just been a character concept for the game, especially since Toon Shiek never existed. Along with the removal of characters came the removal of several music tracks. Music from Legend of Zelda: Link’s Awakening, Animal Crossing, Metal Gear Solid, and the Mother Series were lifted from the final copy of the game with file names and code left over.